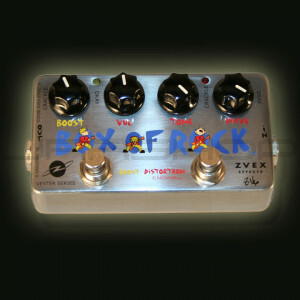 The Box of Rock (TM) is Z.Vex Effect's first "distortion" pedal, highly specialized to simulate the "everything on 10" sound. 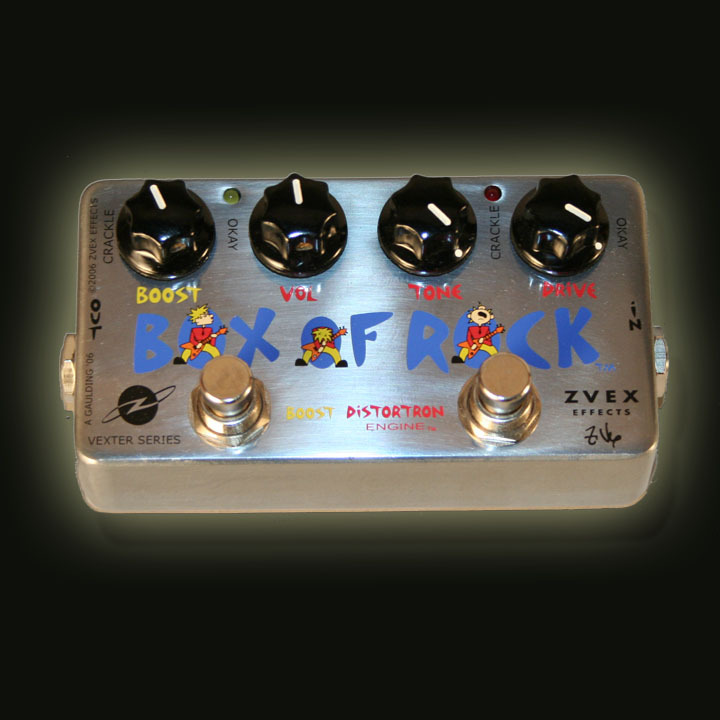 The Box of Rock (TM) is Z.Vex Effect's first "distortion" pedal, highly specialized to simulate the "everything on 10" sound of a classic Marshall ® JTM45 non-master-volume amplifier. You may use the Box of Rock effectively with many different amplifiers, but to get the sound I heard when I designed it, try it through a Marshall at least once. You may use your guitar's volume control to adjust for the exact amount of distortion you need, all the way down to very clean and clear with most drive settings. You will notice the words "distortron engine" on the Vexter version of this pedal (no, that's not a misprint) on the pedal. This is what I named my distortion circuit... call me crazy. On the hand-painted version, the stomp switch on the right is labeled "ROCK" instead, because our paint brushes are too wide for so many small letters.